Paralleling northern Minnesota’s scenic State Highway 61 and hugging the shores of the world’s largest freshwater lake, the Gitchi-Gami State Trail takes you on a journey in which you encounter boreal forests, waterfalls, beaches and lighthouses. Mountains shape the vistas before you and occasionally deep river gorges yawn beneath you. When completed, the Gitchi-Gami State Trail will traverse 88 paved miles between the cities of Two Harbors and Grand Marais on Lake Superior's northern shore. Currently, several segments, totaling more than 25 miles, are open between these two endpoints. The whole trail will eventually connect five state parks, four natural areas, many historical sites and several communities. You don’t have to wait until then, however, to enjoy a spectacular ride. Due to the current discontinuous nature of the trail, approaching the trail with flexibility, patience and advance planning is useful. The Gitchi-Gami State Trail Association (GGSTA) works with the Minnesota Departments of Natural Resources and Transportation on trail design, construction and maintenance. 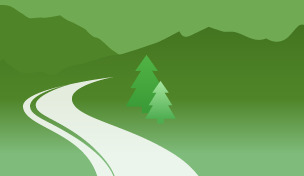 You can follow the progress of the trail construction on their website as well as access a trail map and descriptions. It is possible to ride county roads and parts of Highway 61 to connect the completed portions of the trail. If you are considering this, keep in mind GGSTA’s tips: county roads intersecting Highway 61 invariably slope uphill away from the lake with some steep grades; the shoulder-width of Highway 61 varies and some sections are narrow with limited visibility. Check their website for a map of the wide-shouldered sections of highway. Our itinerary looks at each of the individual trail segments, all of which can be enjoyed as a day ride with towns, lodging and dining never far away. Keep in mind that the north shore is a popular destination and many of the area accommodations require a two-night minimum stay if booking for the weekend. The Gitchi-Gami State Trail follows an old railroad corridor though it is not as level as most rail-trails. Be prepared for hills and varying contours though several sections are relatively flat and family-friendly. If flying into the area, the Duluth International Airport is 30-miles southwest of Two Harbors. 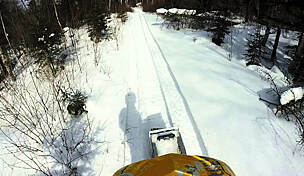 The most southerly-completed portion of the Gitchi-Gami State Trail begins five miles north of Two Harbors on either end of the Silver Creek Tunnel. Parking is available at the Silver Creek Cliff Wayside Park, the northeastern entrance to the tunnel. Enjoy the overlook and interpretive signs describing the natural features of the area. From here you cycle one mile south, circumnavigating the tunnel altogether. Though only a short stretch, it offers you the chance to bike side-by-side with 4,000 feet of Lake Superior’s shoreline. 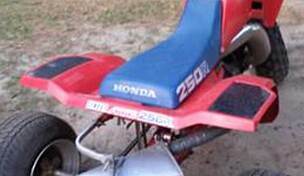 This is a perfect ride for families. 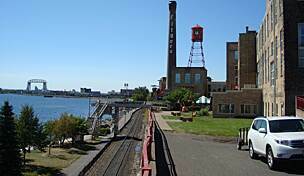 Two Harbors owes its existence, in large part, to the Duluth & Iron Range Railroad (D&IR) and the discovery of iron ore. In 1883, Two Harbors was two separate communities, one of which was a construction camp built for the new railroad. The Minnesota Iron Company had begun rapidly acquiring land to build tracks for transporting their heavy loads and, by 1886, D&IR completed a freight and passenger line connecting Duluth to Two Harbors. 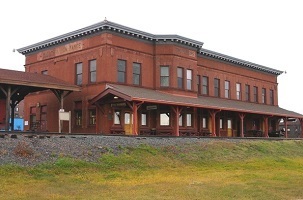 The original Duluth and Iron Range Depot still proudly claims its place in Two Harbors and today houses the Depot Museum. As is true of all the towns along the trail, Two Harbors’ location on the north shore of Lake Superior makes it possible to spend countless hours sailing, canoeing, fishing or birding. A fun way to get a taste for “sea” life is to stay overnight at the Lake County Historical Society’s Lighthouse B&B. Built in 1892, it is the state’s oldest operating lighthouse and opened as a B&B in 1999. The lighthouse is majestically located between Two Harbors’ Burlington and Agate bays. There are plenty of restaurants in town for dining but make sure to stop in for a treat at Betty’s Pies on your way to or from your bike ride. Apparently, they are so popular that in the summer they have been known to bake 300 fresh pies a day. About a dozen miles north of Two Harbors, the 14.6-mile segment between Gooseberry Falls State Park and Beaver Bay is the longest and most scenic of the currently completed segments of the trail. Be prepared though: along with the beautiful scenery are some steep hills and curves. The southern terminus is in Gooseberry Falls State Park, at the lower level parking lot; parking is also available at the visitor center. The Gooseberry River runs through the forests, tripping down waterfalls and through rocky gorges. Plan on taking your time as you cycle through the park—there is much to soak in and opportunities for beach-combing, picnicking or hiking may lure you off the bike seat. 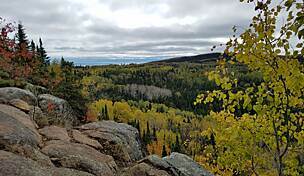 You can connect with the Superior Hiking Trail here as well, at one of numerous access points along the north shore. In approximately three miles from the visitors center, adjacent to the trail and Highway 61, is a wayside parking lot. From here you can access Iona’s Beach Scientific and Natural Area. Look (and listen) for the pink rhyolite and felsite bedrock shingles as they rest on the beach with receding waves. Further north, the secluded Thompson Beach offers additional access to the shores. Continuing close to the shoreline for four miles, you reach the Split Rock Lighthouse State Park and a spur-trail to its historic landmark, the Split Rock Lighthouse (circa 1910). Consider touring the light house (open during the summer season) and walking the path that takes you down from the cliff to the waters below. Be prepared for some elevation gain in the park and the temptation to let your eyes wander off trail toward the spectacular shoreline vistas. Parking is also available at the visitor center. Heading east from Split Rock, you will come out of the woods at Chaplin’s Curve near the site of the historic 1905 sinking of a barge and tow vessel that ultimately prompted the building of the lighthouse. The present northeast terminus of this trail segment is at Beaver River in Beaver Bay, - 5.5 miles from the light house and on the eastern edge of town. Beaver Bay is the oldest European settlement on the Minnesota shore of Lake Superior. The town particularly flourished when iron ore was discovered in the area in the mid-1800s, eventually leading to the establishment of its neighbor, Silver Bay (built to process the mined taconite.) Many colorful characters permeate the historical chapters of the region, including a Beaver Bay favorite, John Beargrease— a mail carrier who delivered mail by dog sled and row boat during the last two decades of the 19th century. The annual John Beargrease Sled Dog Marathon is held in his honor. Since you are biking and not likely in the throes of winter chilliness, let’s turn our thoughts to food— a sensible subject after hours of cycling and adventuring. The Lemon Wolf Café, with handcrafted breads, hearty sandwiches and specials featuring fresh Lake Superior fish, deliciously captures the flavors and perhaps spirit of the north woods and waters. 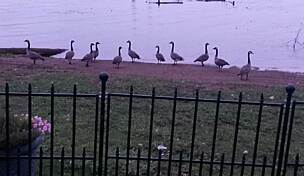 You will find it a block north of the trail on MacDonald Avenue (before the trail crosses Highway 61). Stores and service amenities are available in town as well. You may be tempted by views of the Cove Point Lodge, located on the trail less than a mile south of town. They offer Scandinavian-style lodge rooms and cottages right on or near the lake’s shore as well as men’s, women’s and children’s bike rentals for their guests. A short 2.3-mile stretch, between Beaver Bay and Sliver Bay, continues the journey northward and is the most recently completed addition to the state trail. This segment, beginning on West Road about a mile from Beaver Bay, is west of Highway 61. It is mostly forested, though you cross several roads and pass the North Shore Mining rail yard before the trail ends at a parking area adjacent to Rukavina Arena on Outer Drive. Silver Bay is a lake-side town and lies south of another amazing place to experience the natural beauty of northern Minnesota, Tettegouche State Park. In the fall, the hills explode in color and wildlife rustle about preparing for winter; the park supports more than 40 species of mammals, including snowshoe hare, moose, black bear, river otter and the timber wolf. Camping is available year-round and so too is the more luxurious option of the Baptism River Inn B&B with whirlpool tubs and a Finnish sauna…in case you need encouragement to unwind. 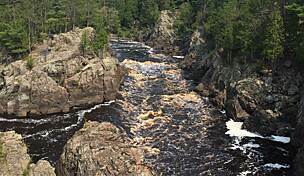 About twenty-five miles north of Silver Bay, the three-mile segment connecting the towns of Schroeder and Tofte keeps you inland to Highway 61 as you travel through the interior of Temperance River State Park. While the shore of Lake Superior is not far away, your attention is drawn toward the dramatic beauty of the Temperance River gorge, its waterfalls, rugged rock cliffs and soft lava river bed. Forests of pine, spruce, cedar and birch frame the gorge and terrain surrounding the trail, allowing glimpses of the distant Carlton Peak. 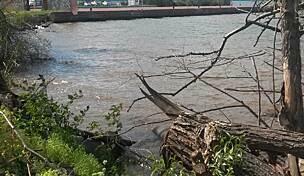 Brook, brown and rainbow trout inhabit the waters of the Temperance River. You may want to extend your time in the park to explore the waterfalls and hiking trails beyond the Gitchi-Gami State Trail. If so, camping is available year-round as are cabins right off the trail. Parking for the trail is available at both ends of this segment. In Schroeder, park at the Wayside Rest Stop just off of Highway 61 after a cup of coffee and homemade donut from the Schroeder Bakery (a half mile from the trailhead on Lambs Way). While you are in town, you may be interested in visiting the Cross River Heritage Center (open May through October); on display are historical exhibits as well as recent works by local artisans. At the northeast end in Tofte, the parking area is at the Town Park/Public Access of Lake Superior. You will need to bike on Tofte Park Road for a half mile before joining the state trail. 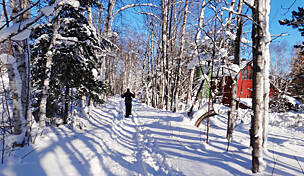 In less than a mile from the parking area in Tofte, the Gitchi-Gami State Trail resumes on the northeast edge of town. The beginning of this 7.3-mile segment can be found to the right of Highway 61, not long after passing the North Shore Commercial Fishing Museum. Nestled between Highway 61 and Lake Superior, you cycle past lake homes, woodlands and the cliff-side resort, Chateau LeVeaux, until the trail ends at Lutsen Ski Hill Road. Here you are at the base of the Lutsen and Sawtooth Mountains. The Lutsen Mountains Ski Area draws thousands to the area in the winter, but there is still plenty to explore during the other seasons; numerous mountain inns and lodges are nestled in the surrounding hills. About twenty miles north of Tofte, the northern terminus of the Gitchi-Gami State Trail is in lakeside village of Grand Marais, where 1.5 completed miles of this upper stretch lie within the city limits. The trail can be accessed from W. 8th Avenue; at this time there is no designated parking area for the trail. If you are camping at the Grand Marais Campground and Marina, you are basically at the trailhead. Those with affections for the coziness of guesthouses may want to stay at the MacArthur House B&B (6th Avenue W. and 2nd Street), in which case, you can leave your car there and bike a short four blocks to the trailhead. The trail steers west; State Route 61 is to your right the entire way and residential and commercial buildings and woodland patches fill in the gap between you and Lake Superior to your left. Superior North Outdoor Center provides bike rentals and shuttle services. Grand Marais itself is a destination. It is an arts community, chock-full of galleries, the North House Folk School and plenty of interesting specialty shops that give visitors a sense of the hardy Minnesotans who live in the rugged beauty and extremes of this northern wilderness. 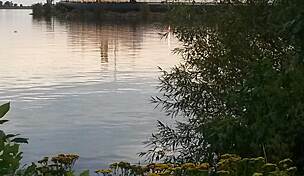 Grand Marais is located on a double harbor, as was reflected in the Ojibwe’s name for the location, Gitchi-Biitoobiig, meaning “double body of water.” When French trappers began to arrive in the area, so did the moniker that stuck to name this “great marsh,” Grand Marais. Some of the county’s history as home to Native Americans, fur traders, loggers and fishermen is captured in the preservation of four historical buildings operated by the Cook County Historical Society, including the Lighthouse Keepers Museum located downtown (open May through October). If you have a car, consider driving 40 miles north of town to the Grand Portage National Monument to explore the history of the Ojibwe people and the North West Company. Today in Grand Marais you are at the gateway to nearly endless opportunities to enjoy the area’s beauty. The Gunflint Trail and Boundary Waters Canoe Area Wilderness, the Superior Hiking Trail and the North Shore Scenic Drive are all at your fingertips. If you choose to stick to the bicycle seat as your primary mode of exploration, however, you won’t be disappointed. While discovering the scenic jewels of the harbor and Artist’s Point or the cultural gems of downtown, make sure to stop at the Dockside Fish Market for fish-n-chips, smoked fish wraps or a fishing tale or two. 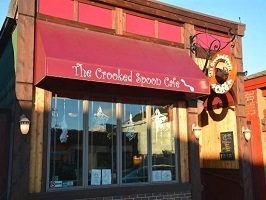 For perhaps the more refined palette, head to The Crooked Spoon Cafe, where a husband and wife team serve up seasonally-changing, scrumptious and innovative dishes. Grand Marais gets busy and full during the first weekend of August for their annual festival, Fisherman’s Picnic, a lively and celebratory time that requires advance reservations if you want lodging nearby.